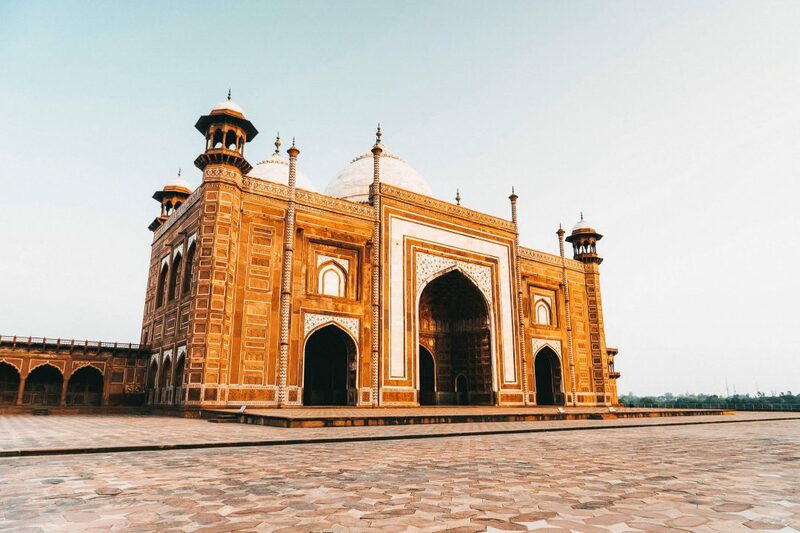 After reading so many books set in India, I wanted to share some of the most inspiring book quotes I found hidden in these novels. I love highlighting quotes when I’m reading, either with pencil in paperbacks or using the highlight function in the Kindle app; always saving these words for later. I also find that inspiring book quotes often lead me to seek out and read a novel in the first place. 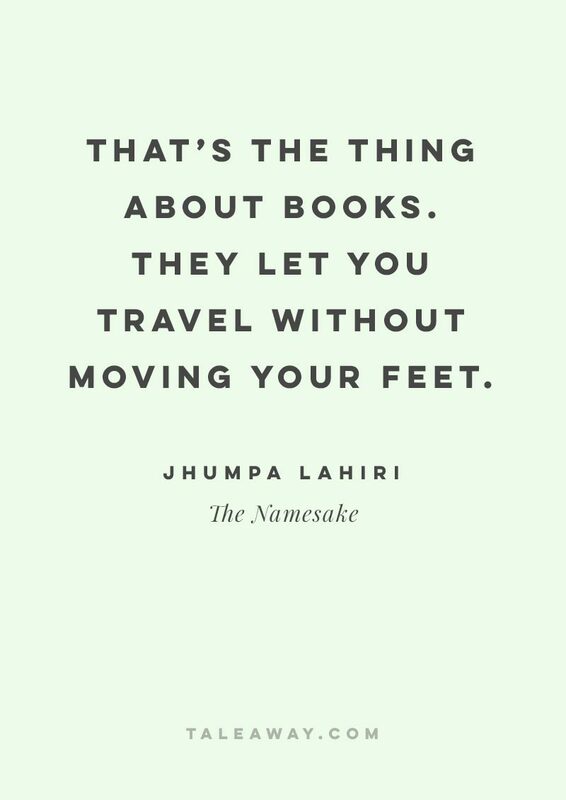 The following are 7 inspiring book quotes from Indian authors (and books set in India), starting off with my favorite quote from Jhumpa Lahiri. That’s the thing about books. They let you travel without moving your feet. 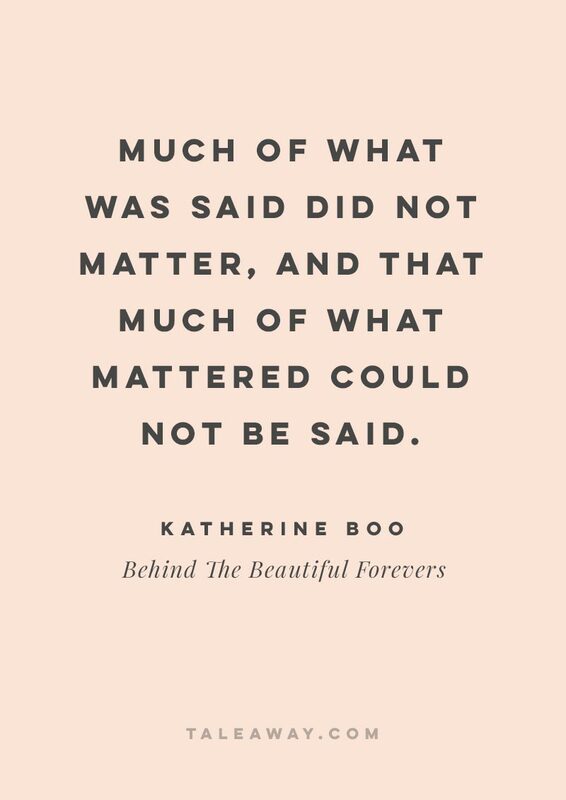 Much of what was said did not matter, and that much of what mattered could not be said. Think of many things. 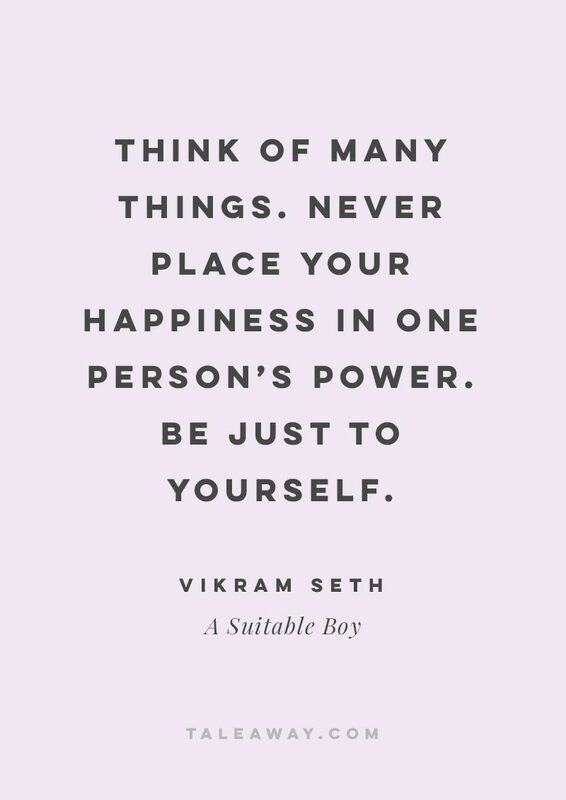 Never place your happiness in one person’s power. Be just to yourself. 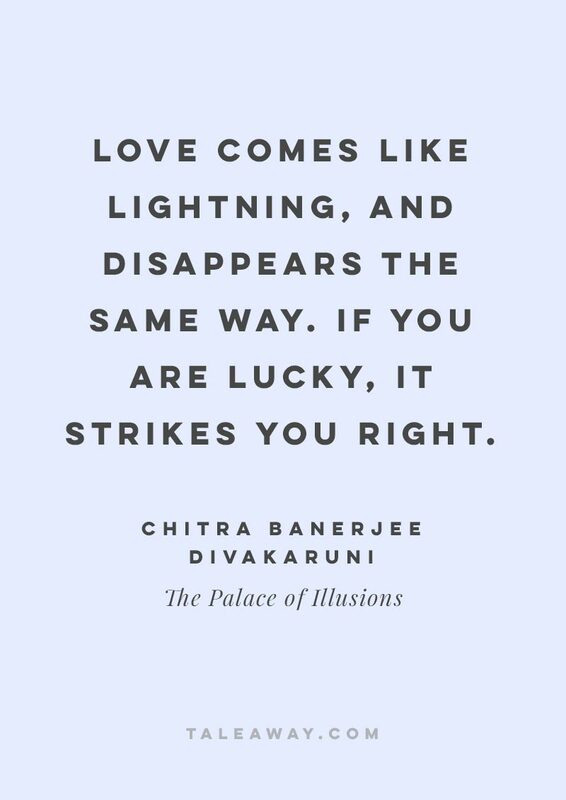 Love comes like lightning, and disappears the same way. If you are lucky, it strikes you right. The air was full of Thoughts and Things to Say. 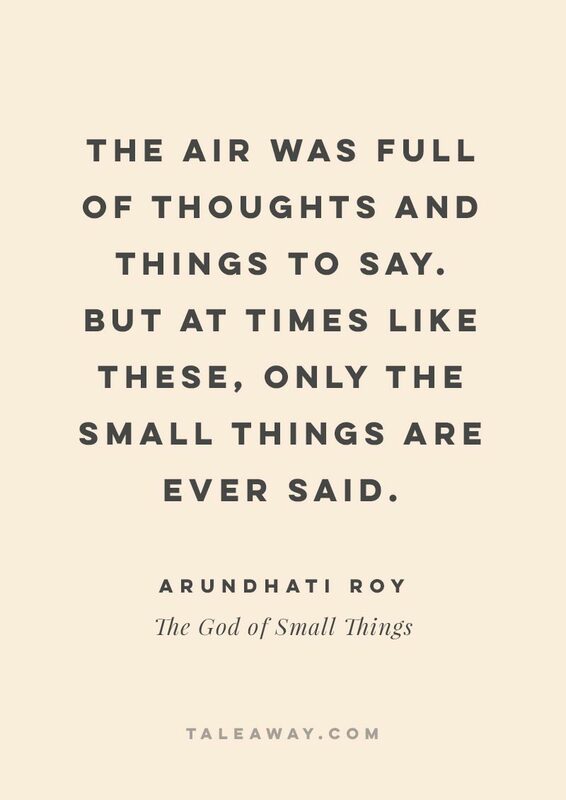 But at times like these, only the Small Things are ever said. 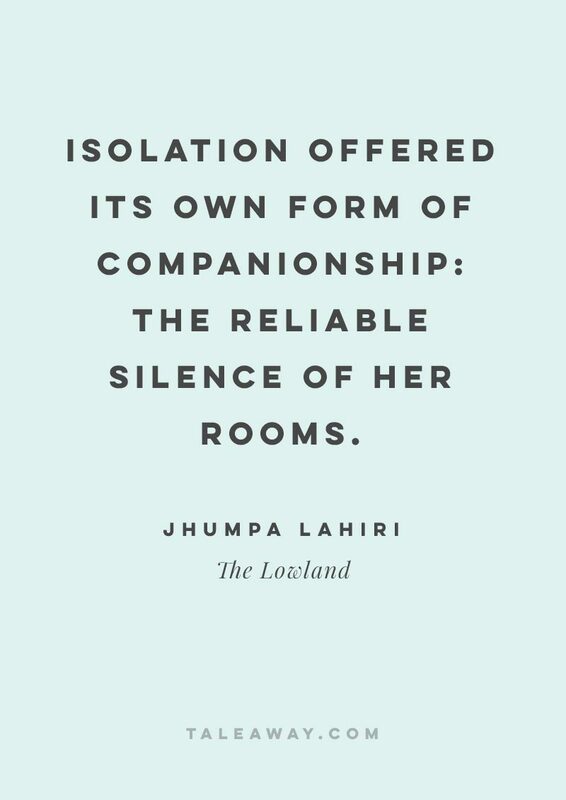 Isolation offered its own form of companionship: the reliable silence of her rooms. 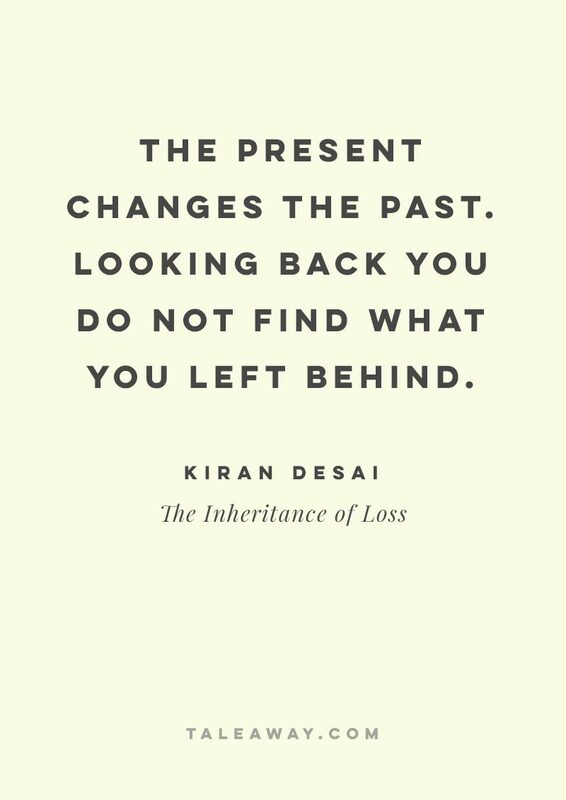 Have you read any of these inspiring book quotes before? Maybe you’ve highlighted some of these too! Are any of them your favorites? 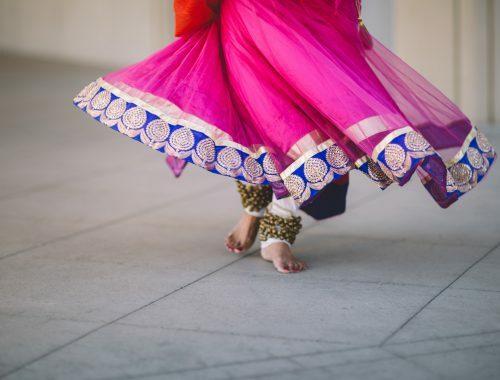 Do you have some other inspiring book quotes from Indian authors that I’ve missed? I’m always looking for new quotes and novels and would love to hear about them below!